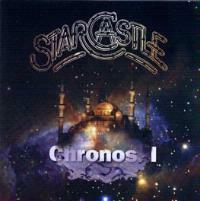 This is a collection of early material from Starcastle. Rather than go with the standard best of type collection, this one is composed of nothing but unreleased material. The vast majority of the material here is early demos of tracks that eventually wound up on the two first SC albums, but there are several cuts here that have never seen the light of day before in any form. Some of this material is actually stronger than the version presented on the albums, and according to the liner notes, the group agrees with that consensus. This really makes a great time capsule of the group. It should be a wonderful learning experience for long time fans and may even make a nice introduction to those who are unfamiliar with the group. This is a somewhat different version of the cut than made it onto the group's debut release. It includes some instrumental measures that were cut out in the album version, to the band's surprise. The cut is stronger here than on the actual album. The song takes on Yesish tones quickly, particularly in the bass line. Much of the guitar work leans towards Steve Howeish modes. However, there are a lot of original tones, and a bit of Gentle Giant thrown in for good measure. The song is full of quirky prog timing changes. The main musical theme of this one, which recurs throughout is quite a catchy one, and although much of the track is quick paced prog, there is a break which is very textural and ethereal. The vocal "da"s that end the piece are very Yesish. This is an early recording of this song from the self-titled album, but is basically the same as that version. The recording feels pretty rough around the edges, but has a certain charm to it. Starting quite a bit in the mode of Nektar, again the bass line brings in Yesish modes as it appears. More non-lyrical vocal scenarios seem to call to mind Yes, and the slower, more sedate sections definitely have those sorts of textures. Another section seems to call to mind Argent, and some early Styx elements seem to be present as well. Much of the guitar work here is also very much in the style of Steve Howe. This version is roughly two minutes longer than the performance that appears on the first album. With a very different arrangement, this one feels a lot less like Yes than the original did. The song has an anxious texture here and a nice slightly rough-hewn texture. An early session of the music that became "Fountains of Light", this shows a maturity and grace that was only hinted at in the earlier recordings. The cut shows the Yesish textures still intact, but the original flavors are seriously emerging and gelling here. This one begins in a dramatic prog fashion, then drops back to an almost balladic form. It starts building up in great fashion from there. This is a very well thought out and arranged production and wound up being the first segment of what became two concept pieces that made up the Fountains of Light album. It has the tendency to capture varying musical modes while still running in a natural and straight line. That is something that a lot of prog fails to pull off. This cut some in very strong and possesses a nice smooth texture. It evolves in great prog fashion. This recording becomes a little cheesy in places, though, but it is a demo. As such, it is pretty incredible. This song eventually became called "Dawning of the Day". It is a great bouncy prog piece. The vocals on this one are particularly strong. Being an unfinished number, it does have some non-finalized guitar work on it, but it is really not noticeable. The arrangement and composition on this are some of the best the group has ever done. When this cut made its way onto the Fountains of Light album, it was under the moniker of "Diamond Song: Deep is The Light". Certainly one of the best cuts Starcastle ever did, this one is a wonderful mid-tempoed prog number that features very strong instrumental and vocal work. It is another awesome piece. Originally recorded for Fountains of Light, but never released, this song is a considerably potent guitar based ballad. This was another from the Fountains of Light session. It begins in a great mellow prog style and starts building from there. It doesn't drift too far away from that original zone, but is a very potent balladic cut. As the song kicks into its next movement, it is in a faster paced, rather bouncy prog style with some great vocal interplay. It drops back to its original mode to end. Recorded before the first album, this sci-fi cut shows strong signs of the sound that was to become Starcastle. The production is a bit flat, but the rhythmic groove is quite cool, and this gives a great glimpse at early Starcastle. The second section of the cut is faster paced and builds nicely. It changes again into a driving beat that takes the cut in directions that really are quite indicative of where the band was heading. The first track that Starcastle ever wrote, this begins with a keyboard flourish, then comes in fast and frantic. This is some pretty awesome fast paced prog and pretty incredible for a first attempt. This really jams and gets a bit early Rush oriented at times.